Owning a pet has health benefits, especially if that pet is a dog or a cat. Some of these health benefits are specific to dog ownership. People who own a dog are less likely to have health problems and when they do get sick the symptoms are often less severe than in people who do not have a dog. This means less time off school or work and fewer visits to the doctor. Children who grow up with furry pets tend to have fewer allergies and develop stronger immunity to infections. However, it should be noted that where a young child has a predisposition to developing asthma and allergies, pets in the house may exacerbate the situation. Research has found babies in households where a dog spends time both indoors and outdoors tend to have stronger immune systems than where the dog is always indoors. Parents may believe having a super clean house will protect their youngster from getting infections but studies have shown children build up resistance by having some exposure to germs. The fact dogs bring a bit of dirt into the house on their fur and paws isn't a bad thing. Patting or brushing a dog are relaxing activities. Oxytocin is released in response to various triggers, one of them being touch. As well as facilitating bonding, oxytocin reduces blood pressure and lowers cortisol levels. The contact with a non judgemental creature lowers stress. You can talk to your dog without fear of getting into an argument. A dog will snuggle into you and lick your hand no matter what. It's called unconditional love. Interacting with a beloved dog leads to increased levels of dopamine and serotonin which will elevate mood. 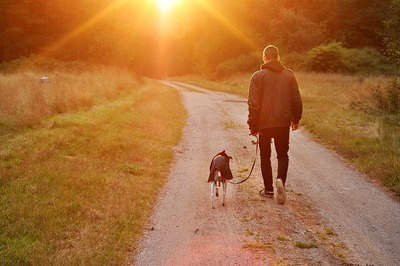 The company of a dog relieves loneliness and also encourages the owner to leave the house and take him/her for a walk. Walking in a natural environment and exposure to sunshine help relieve feelings of depression. When out for a walk it is not unusual for a fellow dog walker to say hello and perhaps stop for a chat. There is a common interest and attention tends to be on the dogs making the owners less self conscious. Sometimes it is the dogs that gravitate toward each other encouraging conversation between the owners. Even within the home a dog can help socially. There is always something to talk about and if the owner has a shy personality they are likely to feel more relaxed if their dog is close by. Owning a dog often encourages the owner to get exercise by going for a walk. Some breeds of dog tend to make you walk further and more quickly than others. Younger dogs are more likely to be energetic. My chihuahua is keen to go for a walk but then stops every couple of minutes to sniff grass, posts, gates and the like. We might be away from home for half an hour but only a small amount of that time is spent walking. However, any exercise is better than none. Blood pressure and cholesterol levels are likely to be lower in cat and dog owners than non pet owners. If the owner does have a heart attack they have a higher chance of being alive a year later. However, Dr Lee, Harvard Medical School cardiologist and professor of medicine, says rather than owning a dog being the cause of better health, it is possible healthier people are just more likely to own a dog than those in poorer health. On the other hand, plenty of experts point out the contribution lower stress levels, companionship and more exercise which accompany dog ownership have on health. 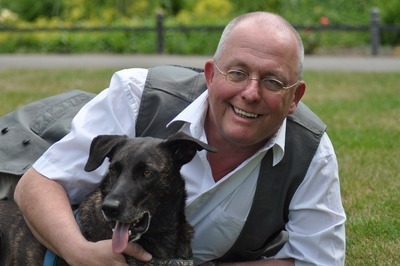 A Swedish study found dog owners are less likely to have a stroke than non pet owners. Some dogs are aware when their owner's blood sugar level drops too low. The canine's very sensitive sense of smell is able to detect a scent in the breath or sweat of the person.The dog will alert the owner and this is particularly important if the person is asleep. There are numerous reports of a dog repeatedly licking or drawing attention in some other way to a mole on his/her owner's skin. When the mole has been medically checked it has been found to be cancerous. Dogs are now being trained to screen urine samples for cancer. 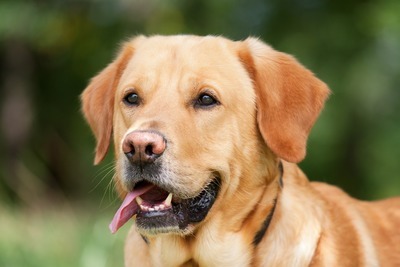 Sometimes dogs can detect cancer from a person's breath. Owning a dog can have numerous health benefits. However, the number one reason for bringing a dog into your home should be because you love dogs and are willing to give him/her the care and attention required, not because you think it might benefit your health.